Please excuse the brief interruption in reporting from my cruise on Tauck’s ms Savor. I had trouble staying present in the experience and, at the same time, keeping the live voyage reports going. In fact, in Vienna, when our ships met, my colleague Aaron Saunders and I talked about how our live voyage reports were getting in the way of experiencing the travel that we were there not only to learn about but also to report back to you on. To improve what we do, we’re going to change our format so that we can fully immerse ourselves in the travel products that we’re brought on to experience. Our hope is that the new approach provides more value for our readers than do our live voyage reports in their current form, where we rush to have an experience, then rush back to our rooms (or internet cafés) to write about our experiences and post our musings, wrangling with slow internet most of the time, which adds hours to upload a single post. Our future live voyage reports will be delayed until after travel, when we’re back in the land of broadband. Nothing changes save for the timing. Our live voyage reports will still feature the day-by-day action that takes place. 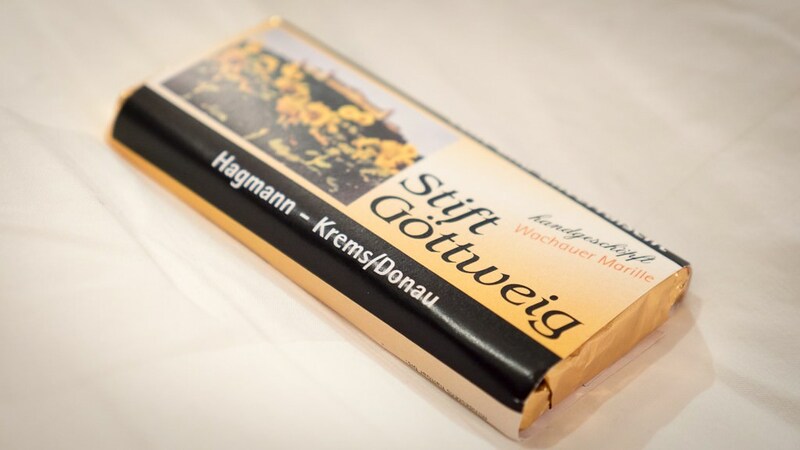 So … when I last left you, I was cycling through the Wachau valley along with a guest who pedaled with me. We had an exceptional day. 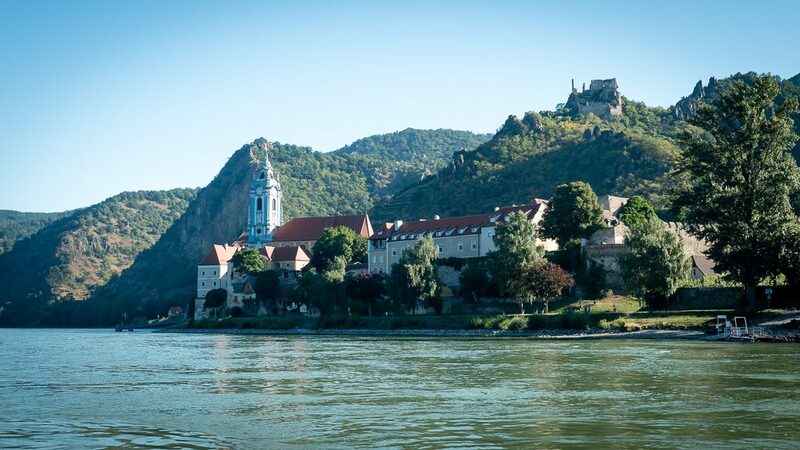 In fact, the guest wrote me after our cruise to say: “There are so many things about this river cruise that are memorable, but the bike ride is near the top of the list — Pete.” I agree. The morning after our ride, ms Savor pushed away from the dock in Weissenkirchen and traveled a short distance downstream to Dürnstein, a fairytale-like village where we disembarked guests who would visit the lofty and lavish monastery at Göttweig Abbey, a mountaintop Benedictine retreat with Baroque architectural features as stunning as the views. The guests would then descend by motorcoach to the Tulln plain to reach Graffenegg Castle, a 19th-century count’s madly romantic vision of a medieval castle. Another option was to explore the picture-perfect Austrian village of Dürnstein on a guided walking tour, with free time on our own – maybe a climb up to the brooding ruins of Kuenringerburg Castle high above the town. My legs were still aching from yesterday. No thanks. I stayed on board to enjoy a morning at leisure. Just before lunch, guests rejoined ms Savor in Krems before we set off on a leisurely afternoon scenic river cruise to Bratislava. I spent the afternoon snapping photos so that I could show you around ms Savor. Though you’d probably never know it as a guest on board, Tauck and ms Savor are operated by two different companies. It’s a clever arrangement. 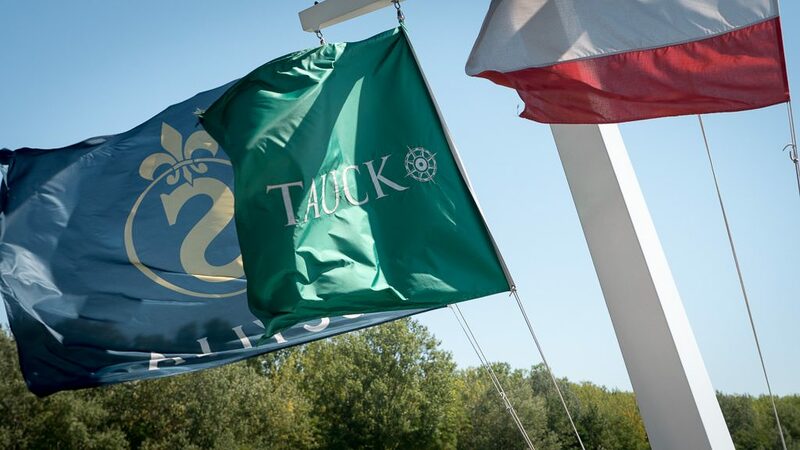 Tauck does all the things that it does so well on the ground and Scylla, a Swiss shipping company, owns and operates ms Savor. Scylla owns more than 20 ships, so the company has a lot of experience with marine, hotel and dining operations on the rivers. Tauck has more than 90 years of experience as a tour company. I heard while on board ms Savor that the “rule book” that Tauck gives to Scylla is quite a thick one. 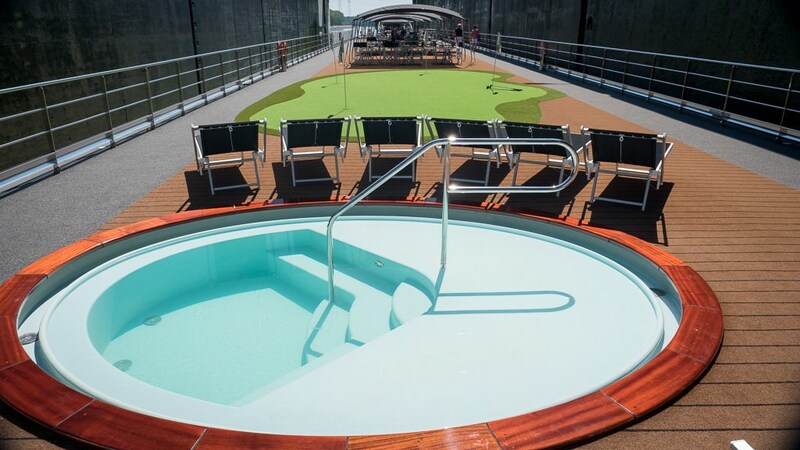 Tauck has high expectations, and on my cruise, Scylla lived up to those for the most part. Service was not quite as polished on ms Savor as it was on Uniworld (which I found to be Seabourn-like) or on Scenic, with its butlers. There was no lack of desire to serve on ms Savor, but perhaps some training was in order. For example, I was on Seabourn recently when a trainee failed to serve a guest over the right shoulder. A supervisor gently corrected the server in private. Yes, it was a minor faux pas, but one that I saw repeated a few times on ms Savor, without being corrected. I found in general that Scylla’s staff, while friendly and well-intentioned, just wasn’t as refined as what I found on Uniworld and Scenic. Again, a minor quibble. 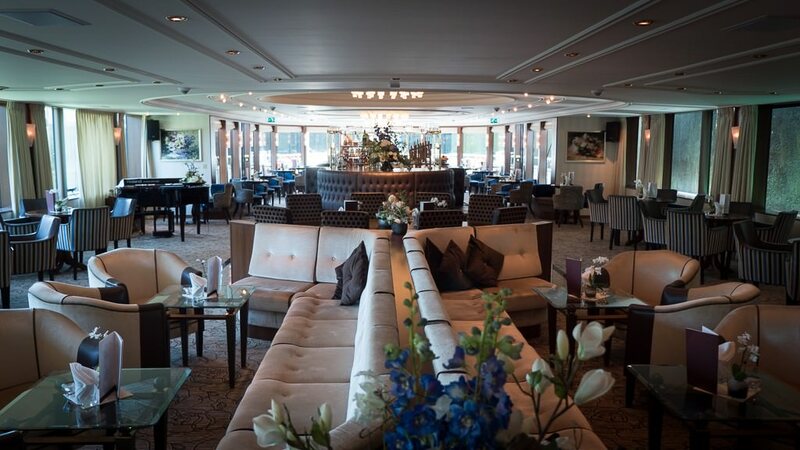 On the flip side, Tauck is the only river cruise operator that I’ve ever experienced, which 1) hands out cash for lunch; and 2) covers restroom charges so that you don’t have to fumble for coins. I wrote about ms Savor’s innovative loft staterooms (and other accommodations) in a previous post: My Loft Stateroom In Video. I failed to mention room service, however. 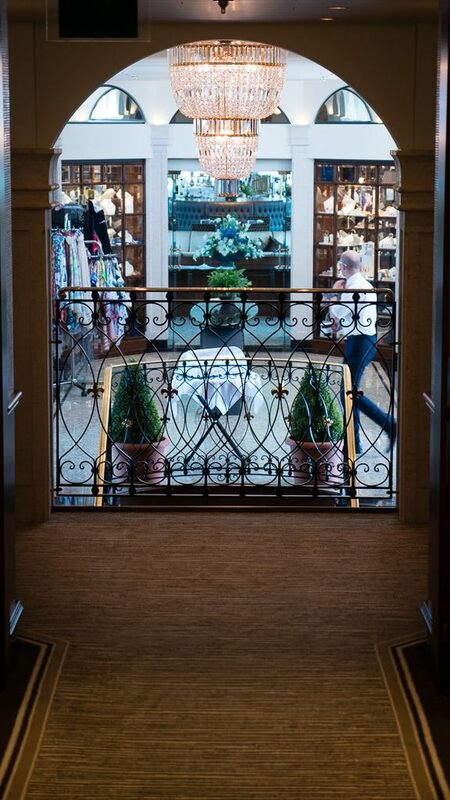 Tauck offers room service (breakfast only) to guests in category 7 suites only. These are the big suites, measuring 300 square feet. Guests in this category also get a 100 euro shipboard credit to spend for spa treatments or in the hair salon or boutique. Guests in all categories, however, can order “A Bite To Eat” between 10 a.m. and midnight, delivered to their rooms or elsewhere on the ship. On the menu, a cheese plate, cookies and baked goods, fruit basket, ice cream and hot pretzels. 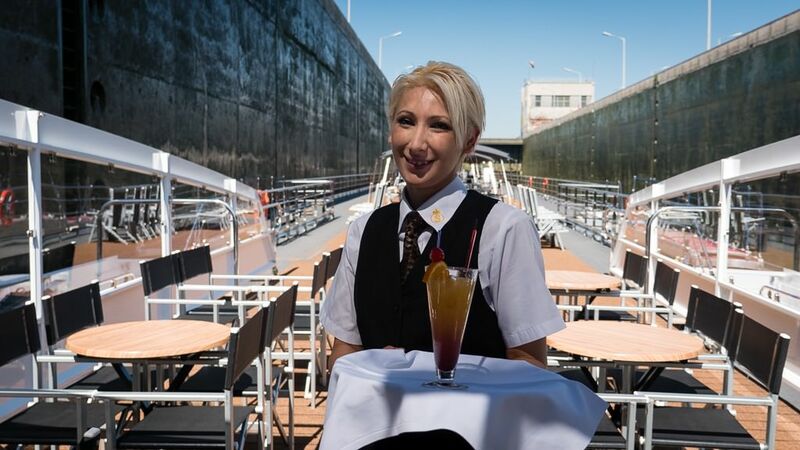 As on Uniworld and Scenic, all beverages are included on ms Savor. 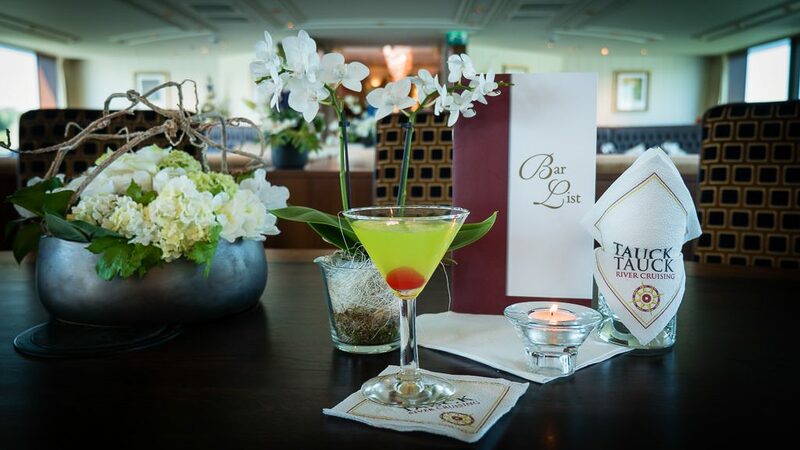 Belly up to the bar for a beer or a martini in the Panorama Lounge. One deck below is the main restaurant, open for breakfast, lunch and dinner. Aft on deck three is Arthur’s, open for breakfast (including late-risers breakfast), light lunches and dinner (make your reservations before 2 p.m.) It was my favorite restaurant of the two, primarily for the privacy and the views. 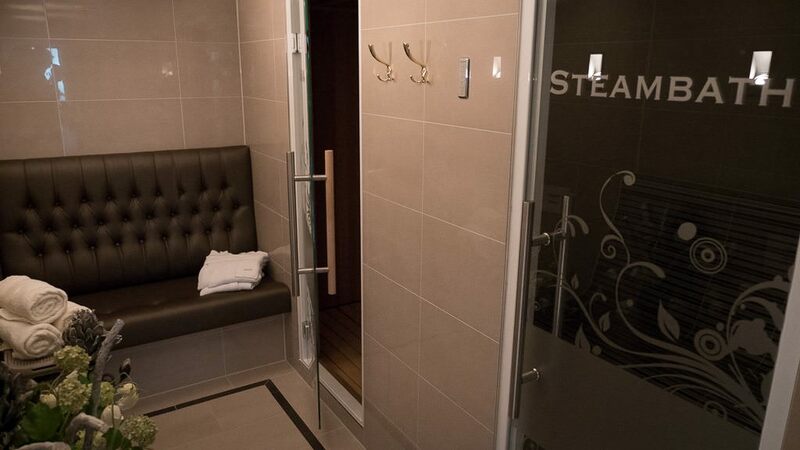 When it comes to fitness ms Savor features a sauna and steamroom, treatment rooms for massages and a beauty salon. 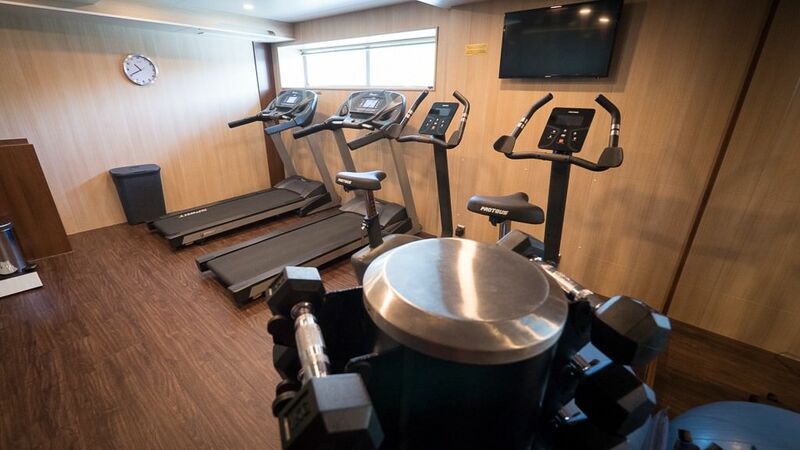 There’s also a fitness room with cardio machines and weights. As noted, ms Savor also has a fleet of bicycles for complimentary use. I would have appreciated laundry facilities. I wasn’t the only one cleaning clothes in my sink (my room attendant provided a stopper). 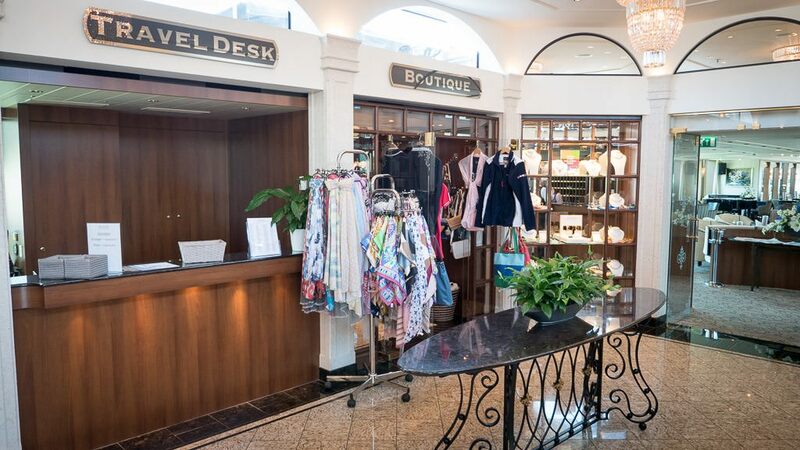 Uniworld’s ss Maria Theresa features self-service (and free) launderettes. On ms Savor, I could have sent my clothes out to be cleaned, but 5 euros to have a t-shirt washed seemed a bit extravagant to me (see a list of laundry prices here). 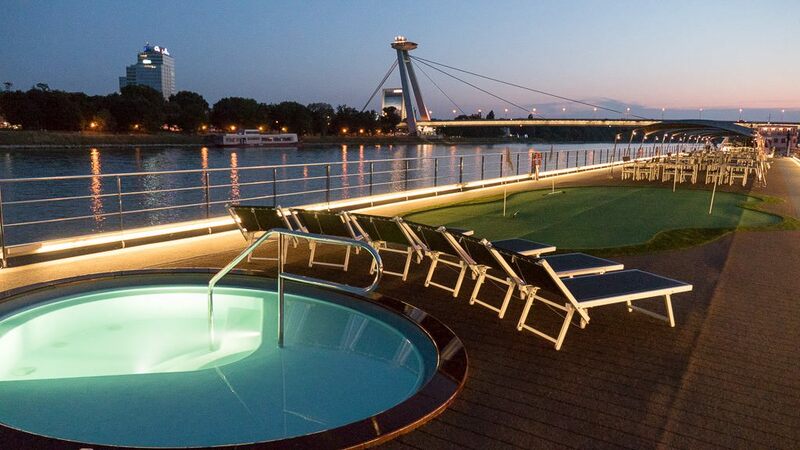 Related post: Laundry Services or Facilities: Which River Cruise Companies Include Them in the Fare? So what’s my take on ms Savor? It certainly stands proud among ships such as Uniworld’s Maria Theresa and Scenic Jasper. 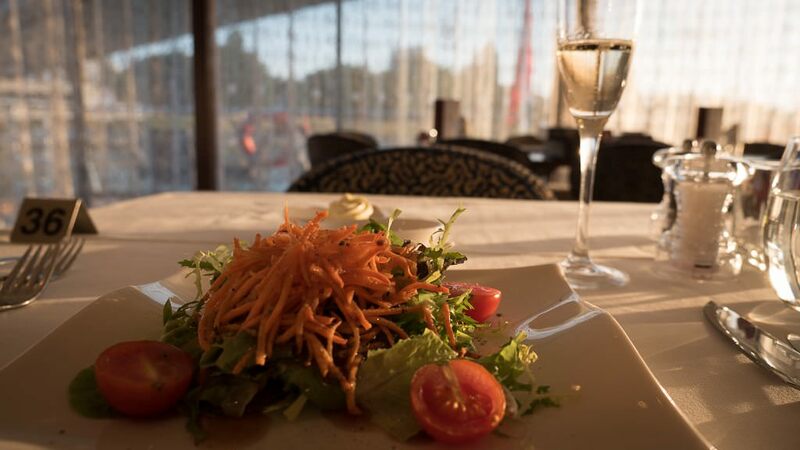 Each company offers something that the others do not: Scenic has its Sundowners; Uniworld has its Leopard Bar. 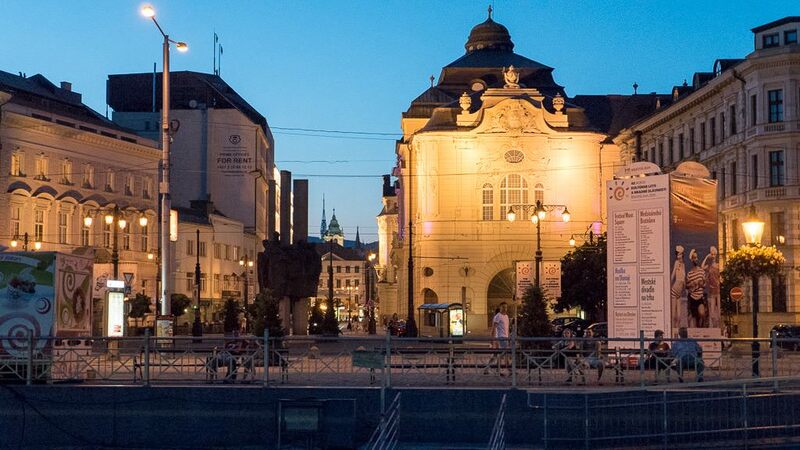 These three companies are in the same league, which is to say they are the best on the rivers if what you’re looking for is all-inclusive river cruising with a touch of luxury. Well, I think you know! I am posting some nice photos this week, though. Hope you’re enjoying your time with Tauck! Ralph. 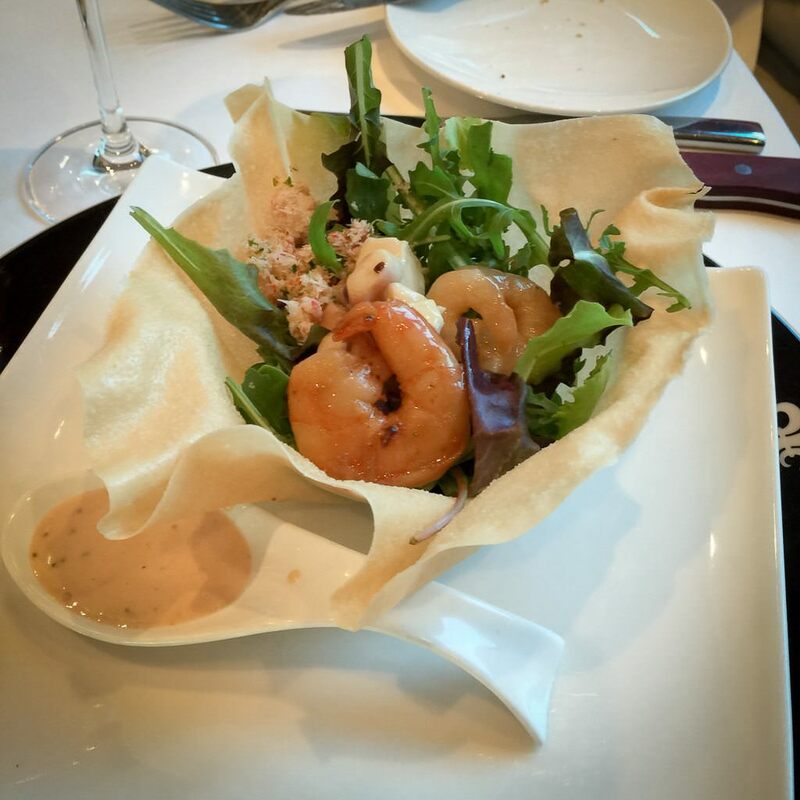 I have had Uniworld ask us as we were disembarking at a port if we would be returning to the ship for lunch, and if we said no, hand us an envelope with 20 euro to cover lunch expenses. Thank you Oscar! One of the things I love about our blog is that our readers add to our knowledge. I hear Sister Sledge’s “We are family” playing in my head. A big river cruise family. Ralph, enjoyed your review, although I wold have preferred more descriptions of the included tours. As to money for lunch; we have experienced that several times in our cruises with Vantage. We delight in finding out of the way places. We do the Douro next month on Vantage. That finishes the major European rivers. Already decided I wouldn’t do any blog posts until we get home. Perhaps a few notes on the I Pad, but usually my photos are enough of a reminder. My husband and I write a travel blog when we are touring. We used to try and post each day. Many things about meeting a daily deadline (self imposed) frustrated us, mainly poor internet. Thus, we eventually realized we were putting unreal expectations on ourselves and intruding on the enjoyment of the trip. Ian daily writes a synopsis of the day on the iPad Notes; I download the photos and place them into daily albums. Both those are necessary for the future blogging. And just to keep things straight when we revisit our trip. But that is it till we get home. Whew! I feel better already. Thank you! Durnstein: The castle there is where King Richard “the Lionheart” was imprisoned.